Hi Barbara! Glad to speak with you to hear about the experiences of a homebirth midwife in Israel. Is it true that in Israel insurance will not cover the cost of a homebirth? It won’t cover the cost of a homebirth and we’re not insured. We don’t have liability insurance. What happens in Israel is that giving birth in the hospital is free for Israeli citizens. Completely free. Not only is it free, but you also get a stipend from the government every time you give birth. For a first birth you get about $300, second birth you get a little bit less, and third birth and on, you get about $150. It’s to help you with the initial purchases you need to make for the baby. If you have a homebirth, you have to pay for it. There are only about 1000-1100 homebirths in Israel per year, but it’s a number that’s growing all the time, because you have more and more women who are interested. It’s just becoming more popular. These women have to pay out of pocket for it, but there is a new law that was passed just last year that women who’ve had homebirths do get the birth stipend if they give birth with a licensed midwife. If they don’t give birth with someone who has a license, then they don’t. There’s a very strict protocol the government has, of what we as midwives are allowed to do. In Israel, midwives are only nurse-midwives, what you call Certified Nurse Midwives (CNMs) in the United States. There are no CPMs (Certified Practical Midwives) here, only Nurse Midwives. Much less than America. It costs between about 5000-6000 shekel, which is something like $1200-$1500. Our scope of practice is less than in the U.S. For example, I cannot give referrals to the HMOs; They have to go to a doctor for that. I can’t write prescriptions. We’re much more limited than the Nurse Midwives and CPMs in the U.S. I know that the regulations in America vary from state to state, and here it’s just one state, but they are pretty strict about a lot of things here. How do you become a midwife? Do you first have to go to nursing school? You have to go to a university nursing school for a BSN. The midwifery course is given by the Ministry of Health in different hospitals in the country. The course is a little longer than one academic year. It’s also a separate licensure. I have a license as a Registered Nurse and I have a separate license as a midwife, but you can’t have a license as a midwife without having a license as a nurse. According to the Ministry of Health, if you want to be a homebirth midwife, you have to work for a minimum of three years in the hospital, for experience etc., but there is no homebirth midwife course. 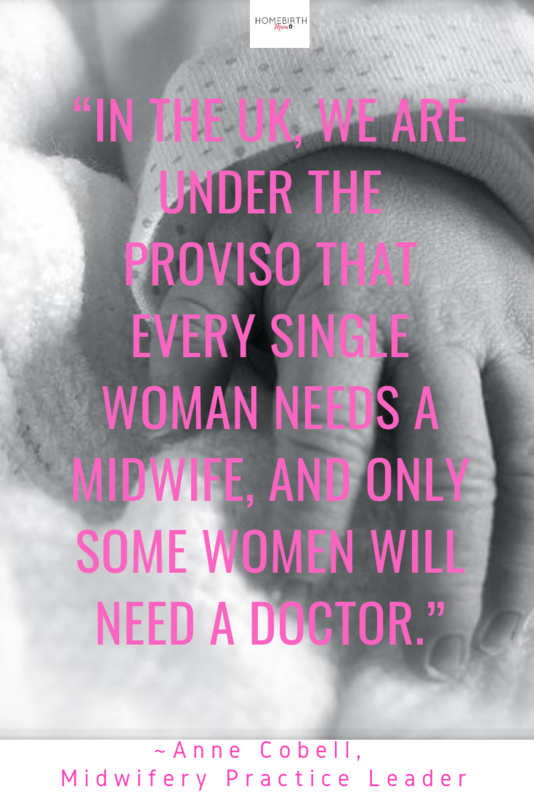 The problem with that is as a midwife in the hospital you only work in the hospital delivery room; You don’t do prenatals, you don’t do postnatals, you don’t do well women checkups, like in America. You work in the delivery room period. That’s all you do. Here, women who use Israeli HMOs will see a doctor for their prenatal care. There might be a nurse there who takes their blood pressure and checks their urine, but the prenatal care is given by a doctor. Legally we’re allowed to do prenatal care, but that’s the way the system developed. So when I left the hospital and started becoming a homebirth midwife, I had to learn all of this. I hadn’t been doing proper prenatal care before, and I hadn’t been doing postnatal care, so I had a lot to learn. I had to learn about jaundice and breastfeeding and newborn care, and how to suture. We didn’t suture in the hospital. There were a lot of things I had to learn when I left the hospital. Did you become a midwife in Israel? Yes, I was here for years before I became a midwife. I’ve been in Israel for 41 years. I came here the day after I finished high school, in 1977. I came alone as an 18 year old kid. I did one year of preparatory studies because I didn’t know Hebrew. Then I did one year of university and decided I wanted to be a nurse so I transferred to a nursing school. I graduated nursing school in 1982 and worked for several years. I started the midwifery course in 1986, finished in 1987, and I’ve been a midwife since 1987. So you only do homebirths now? I worked for twenty years in a large university hospital here in Jerusalem, called Hadassah, as a midwife. It took me a while to understand that I was not in the right place. As my kids got a little older, I felt like I needed a change in my life. I decided to leave the hospital and began doing homebirths. It’s a little more complicated than that. I started studying homeopathy, and after one year of my homeopathy studies, I said ‘This is it, I can’t work in the hospital anymore.’ So I left for a year. What was going on in the hospital? When you study homeopathy, you develop an understanding of wellness, of disease, healing, health, what causes disease, what heals it. When you are working in the hospital, you see the amount of unnecessary interventions, the amount of scare tactics, bullying, manipulating people to do what the doctors think they should do to just to get the baby out and get labor over with. Women have inductions for no reason, episiotomies for no reason, vacuum extractions for no reason. The main thing that bothered me, which is sort of an imitation of the United States, is that the whole medical system here is about covering your backside for fear of being sued. That’s something that’s relatively new here. I know it’s been happening in the U.S. for a long time, but here it’s pretty new. Why is it new in Israel now? It’s a different culture and they are very much adopting certain aspects of the American society here; The uglier aspects of American society. They get really scared, and they’re always afraid they’re going to be sued now. In the old days, almost nobody got sued. Now everyone’s afraid of being sued. How busy are you? Is there more of an awareness of homebirth? More and more. I live in Jerusalem, and Jerusalem has a lot of very religious women and they’re having big families. You also have a lot of Americans and Canadians here in Jerusalem, so they’re usually looking for a midwife who is a native English speaker like I am, and so a lot of my clients are Americans or Canadians and Orthodox. Not a lot of them have internet access, so they hear about me through word of mouth, and homebirth is becoming more and more popular with them. Up until last year I had an average of 70 births a year which is a lot. This year, I decided to cut down a little bit so I’ll probably finish the year with 50+. I’m doing maximum 60 now because it’s a lot of work, and I’m getting older. 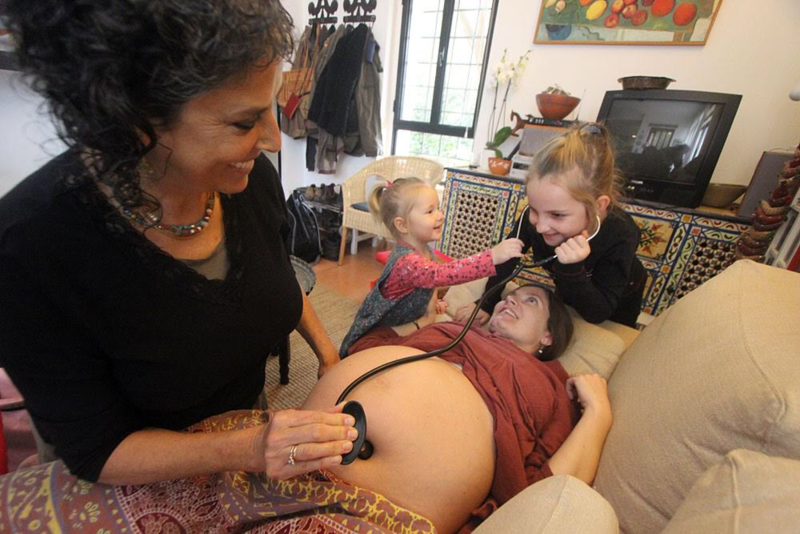 There’s not a real lot of midwives; In Jerusalem proper, there’s four licensed midwives practicing homebirth. Are there any alternatives to a hospital birth, like a birthing center? Are midwives doing all of the deliveries in Israeli hospitals? I thought hospitals in Israel were more into natural birth than in America? 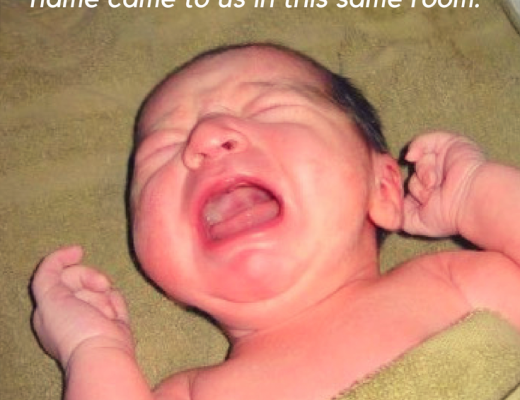 It’s more natural than in the U.S. Hospital births are not as medicalized as in the U.S. In the U.S., women have their doctor, he comes to do their birth, and it’s a very medicalized birth; There is a very high cesarean section rate. The c-section rate, here in Israel, depends on the hospital. It’s around 23% at most hospitals, but in some hospitals it’s 30%. So we do have an overall lower c-section rate here. When you go to the delivery room you are attended by whichever midwife is on call. You don’t have your private midwife. It’s more similar to socialized medicine. So when you come to the hospital, you have no idea who’s going to be delivering your baby. You know it’s a midwife and whoever you happen to fall on, if she’s nice and you connect with her, that’s great. If not, no. That’s why a lot of women take doulas, because they want at least one familiar face to work with that they know. The Ministry of Health absolutely forbids birthing centers. There was a big case that they took to the high court and lost. A group of women’s rights activists were trying to raise birth awareness. There were several midwives and one physician who had birth cabins in their backyards, and women would come and give birth there. It is not allowed now, and you have to give birth in your own home or in the hospital. There are some hospitals that have natural birthing suites in the hospital that even allow water births. Hadassah Hospital has one, and you have to book it in advance and pay for it. It costs about $1000 to register, and then they assign you your own personal midwife. You have to have an IV, and there are still electronic fetal monitors on you, so it’s still pretty medicalized for a birthing center. If you had a previous cesarean section you can’t give birth there, you have to give birth in a regular delivery room, so they are pretty strict. That’s the only one in Jerusalem. There’s a hospital in East Jerusalem that’s really interesting. It’s a Palestinian hospital but it’s run by the church. It’s called St. Joseph. St. Joseph is a certain kind of Catholicism, similar to Franciscans, and they have European nuns with some of them working at this hospital. It’s near Mount Scopus, and they’re really into natural birth. They’re really flexible, they do water births, and it’s all free. The head midwife is an Italian nun and she’s absolutely amazing. They have some really amazing things going on there. How long ago did they open? It’s been open for a long time, but they renovated and redid part of the hospital about five years ago. I’ve only known about it for the past four years. For the past year or two, through facebook, people started hearing about it. Mostly English speakers go there because the staff does not speak Hebrew. They speak Arabic and English. More and more people are going there and I only hear raving positive birth stories. I’ve seen it firsthand because I’ve been there with a number of women having babies. I’ve had a pregnant woman go into labor and, as a tourist, she would have to pay out of pocket for going to the hospital. If she went to one of the Jewish hospitals, she would have had to pay 15,000 shekel for the birth. If she went to St. Joseph, it’s 8,000 shekel, because it’s Palestinian so it’s cheaper. I’ve taken a few women there and they had excellent medical care and everybody was super happy with their experience. 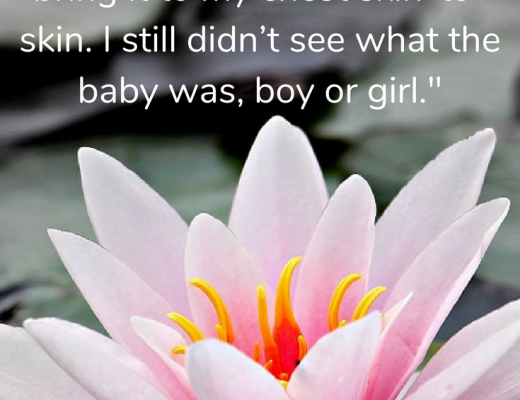 Do you have any birth stories you’d like to share? There is a group of these old Moroccan ladies sitting downstairs talking in the garden, having tea. This woman was very, very vocal. At the end, she’s in the shower, and she’s getting really loud, and she makes a lot of noise, and then the baby’s born. And the baby starts to cry. And suddenly we hear from downstairs in the garden, all of these old ladies whooping, ‘Mazel Tov!’ These women are cheering, 4 or 5 old ladies cheering. And the girl is sitting there on my birth stool in the shower, and holding her baby. She looks and me and says, ‘See, that’s why I wanted to have a homebirth. It’s private, it’s intimate, it’s in my home, nobody’s there, just me and my husband and you… and the whole neighborhood! I think even one of the old ladies brought her up some food. It was so adorable, because in Morocco, 60 years ago, Jewish women would only give birth at home with their own Jewish midwives. They didn’t trust going to the non-Jews. They were always afraid that something could happen, so it was part of the Jewish culture there in Morocco that they had their own Jewish midwives who would deliver the babies at home, unless there was a problem. That was the culture these old ladies came from and that’s how they were born. They view homebirth as totally normal and totally healthy. When I went to St. Joseph Hospital, I met a midwife there from Bethlehem, as all of the midwives there are from the West Bank. She said to me, ‘My grandmother was the midwife of Bethlehem.’ They’re not allowed to do homebirths now in the Palestinian Authority, unfortunately, but she said, ‘We were all born at home. My grandmother was the homebirth midwife of Bethlehem.’ So something that existed and it was taken away, it’s starting to come back really slowly, cautiously, and it’s coming back obviously safely because we also have modern medical equipment that we can bring to the birth. My personal story is I went to nursing school and became a midwife. I was vehemently anti-homebirth. I thought homebirth was dangerous, reckless, and negligent, and completely insane. How could you endanger your baby because you wanted a certain experience!?! That’s exactly what I thought. And to all of my friends who talked to me about homebirth, I told them, ‘No, I’ll give you a homebirth in the hospital.’ That’s where I came from; I am a very medical person. 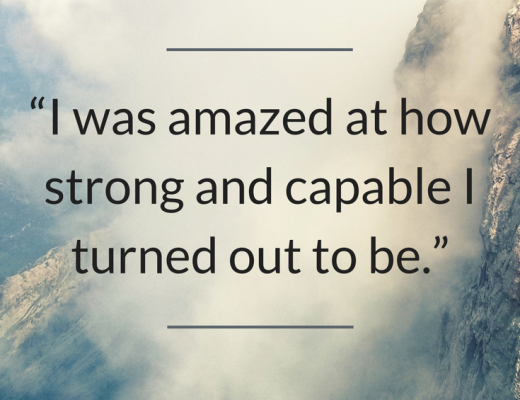 I came with her to a homebirth and it completely changed my life. We worked together. It was a very long, difficult first birth. She pushed out a huge baby, trying out all these different positions. I know how it would have ended in the hospital. It was amazing, and I remember walking out. My husband drove me there, because there was no GPS, this was 20 years ago. I woke him up, as he was sleeping in the car, and I said to him, ‘Oh my God, I’ve made a mistake. I’ve been doing the wrong thing for all these years.’ I realized then that I had found my calling. My whole world changed overnight. I started reading, researching, and speaking with homebirth midwives; I went to a midwifery conference. Finally, I said, ‘This is what I want to do.’ I did a 180 degree turnaround. I definitely understand people who want to do it in the hospital, who feel safe in the hospital, but very often that feeling of safety that’s in the hospital is a complete illusion. The feeling of safety, ‘Well, he’s a doctor’; It doesn’t mean you’ll have a better result. Everybody does have to do their research and do what is good for them. I never try to convince anyone to have a homebirth. I want people to make an informed choice, and prepare themselves for it, and make their own decisions. There’s a big problem with research that’s been done in the United States on homebirth. The United States has 50 states where, in certain states, like Oklahoma for instance, there’s almost no regulations. The latest studies coming out of Oregon show something like 30% of the homebirths are done by naturopaths. They are not even midwives. But if you look at all of the research done in Europe, or in Canada, or in Australia, and look at the results on mortality and morbidity, you’re going to see that the results are excellent. In England, they tell women that there’s better results with homebirths, at least with second births and on, although with first births they also say the results are excellent. They tell women the results are better than delivering in the hospital, when you give birth at home. So that’s the research in England, and the research out there is very positive for homebirth in general. When people tell you homebirth is unsafe, it’s out of complete ignorance. They don’t know what a homebirth midwife brings, they don’t know what her training is. I know that when I worked at Hadassah Hospital, I was a very senior midwife, and the doctors I worked with would ask me to come in and deliver their wives. 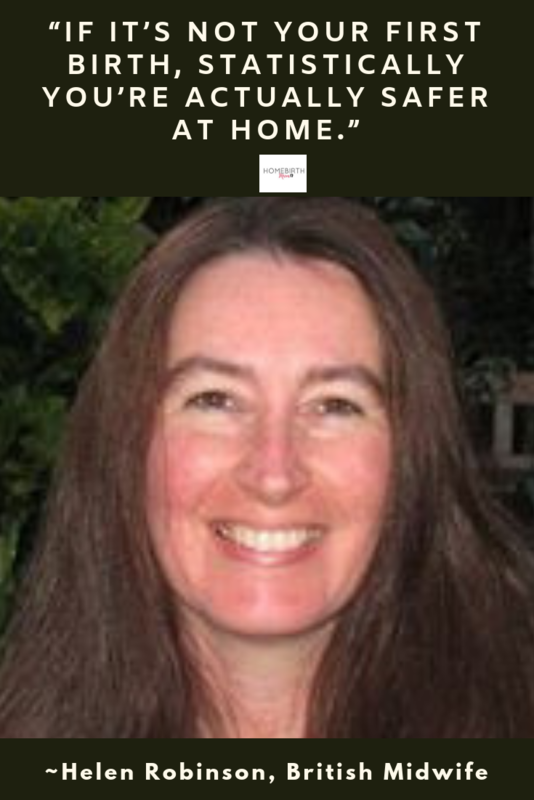 Then I left and became a homebirth midwife, and I met one of the doctors whose baby’s birth I had attended in the hospital, and he asked me, ‘Barbara, I have a question. When you go to a homebirth, do you bring along equipment?’ I said to him, ‘You don’t know anything about homebirth do you?’ and he said, ‘No.’ That’s why they think it’s crazy. They think I come with nothing. People need to know what we are, our training, the risks involved, they need to know all this. 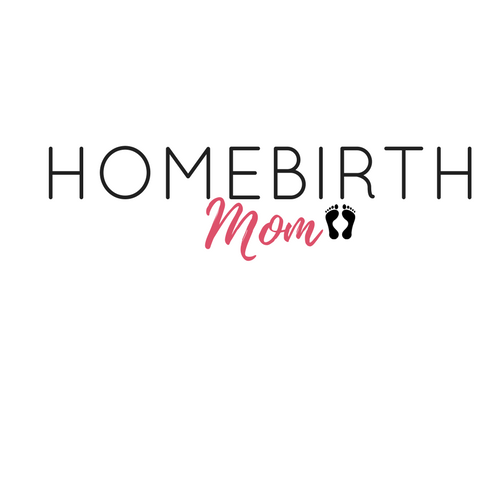 You made some really good points, and that’s really why we are doing this; To raise awareness of what homebirth is and how it’s done.